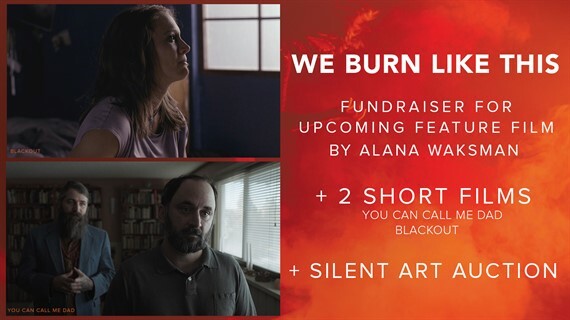 An evening of two short films directed by Alana Waksman - a fundraiser for the upcoming feature, WE BURN LIKE THIS, filming in Montana this summer. Tickets are $10. -Silent art auction including paintings by Lauren Monroe Jr, photography by Tessla Hastings, Bryan Mendoza, and more! All ticket proceeds will go towards supporting the production of WE BURN LIKE THIS. WE BURN LIKE THIS is a love song to the descendants of diaspora. Rae, a 22 year old Jewish girl and descendent of Holocaust survivors comes-of-age in today’s Montana. She uncovers issues of self worth, addiction, and buried childhood trauma which she must learn to face and heal.